Duplex Strainers or Dual Inline Basket Filters and Strainers provide continuous process flow service, allowing cleaning or replacement of a basket without interrupting the process flow. As with both ‘Y’-type and Mono Inline strainers GFSA Duplex strainers can be supplied as either cast or fabricated units which are normally installed horizontally into pipelines, however, fabricated units can be orientated to suit your requirements. 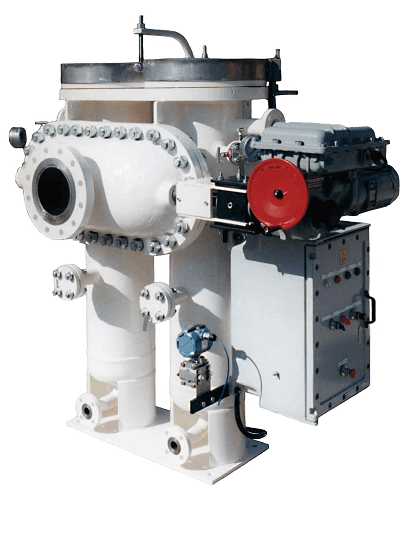 Duplex strainers comprise two filter chambers, one duty and one standby, each housing either single or multi baskets. 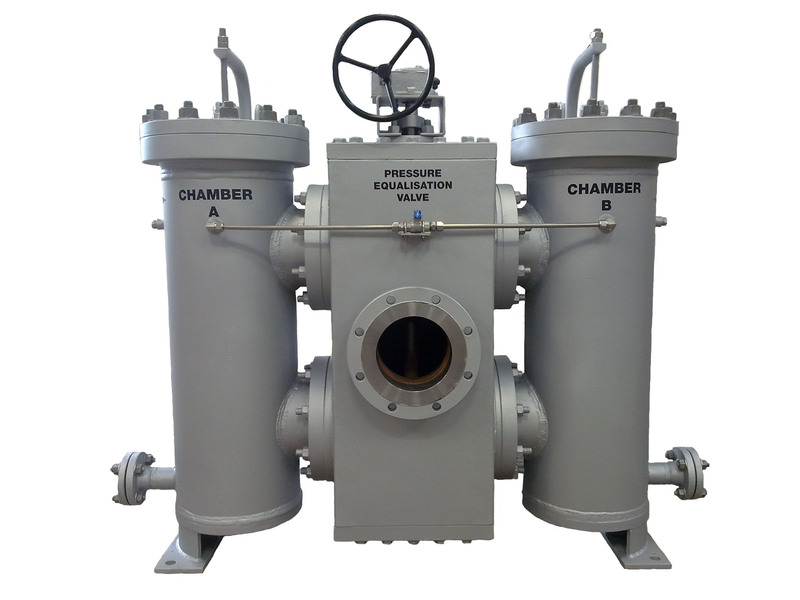 The two filter chambers are interconnected by a valve changeover system, which diverts the flow from one chamber to the other without interrupting the process flow. There are several different valve arrangements that are used to divert the flow and these are detailed below. The Taper Plug type unit incorporates two filter chambers, one duty and one standby chamber, each housing a single basket. The unit utilises a six -way diverter taper plug valve which diverts the flow by moving the operating handle through a 90º arc. In order to operate the valve, the taper plug has to be lifted out of its seat via a screw jack. Once the flow has been diverted the plug has to be reseated. The parallel plug type unit incorporates two filter chambers, one duty and one standby chamber, each housing a single basket. The unit utilises a simple but positive method of changeover mechanism consisting of two parallel plug valves which are impregnated with PTFE and operated by a common split shaft. This minimises wear and provides low effort operation. 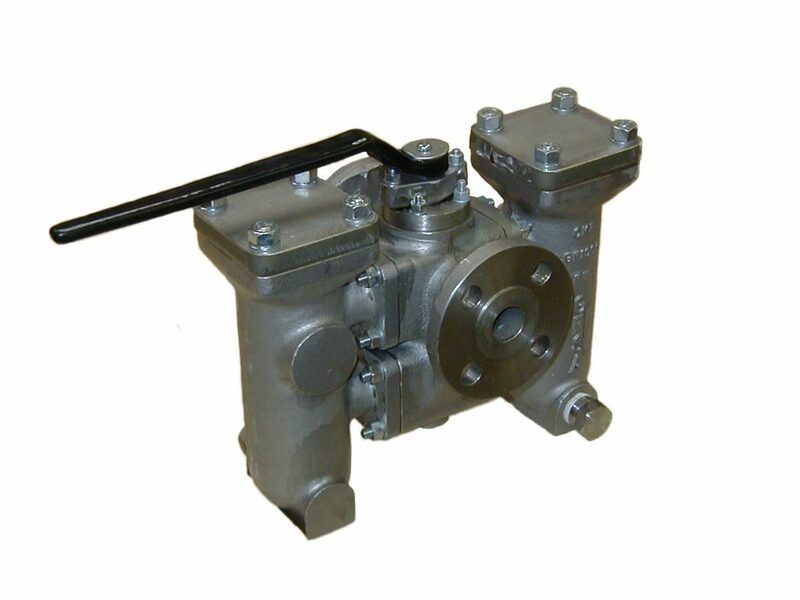 This valve arrangement maintains separation of the clean and contaminated fluid and diverts flow from one chamber to the other in one simple 180° rotation of the handle, without the need of special tools such as jacking or extension bars as required with the taper plug designs. The chamber in operation is covered by the handle thereby preventing accidental opening, leaving the standby chamber clear for access. The sliding gate valve type has two filter chambers, one duty and one standby housing one or more baskets depending upon the size of the unit. The changeover mechanism consists of two sliding disc valves, which incorporate self-energising seals to provide 100% total shut off. The valves are operated by two screwed drive shafts which are interconnected to provide simultaneous operation by mitre gearboxes and a fully guarded interconnection shaft, thus eliminating any possibility of completely shutting off the process flow. The gearboxes are of sufficient ratio to provide low effort operation and a pressure equalisation valve is fitted as standard to equalise the pressure in the two. Operation can be carried out manually or by various modes of automation. Units come complete with a unique valve position indicator showing which chamber of the unit is in operation. Access to the baskets is either by a bolted or quick release cover. The integrated ball valve type unit is the next generation of duplex strainers. 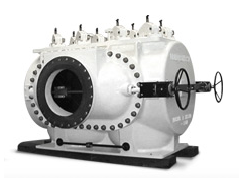 The greatest benefit of this type of strainer is that it provides a total shut-off of the process fluid from the chamber open for maintenance. This makes it ideal for gas applications and hazardous fluids. The unit incorporates two filter chambers; one duty and one standby chamber, each housing a single basket. The unit utilises a six-way diverter ball valve assembly which, unlike plug valve arrangements, provides a total shut-off of the chamber under maintenance. Fabricated units consist of two independent vessel housings containing one or more baskets depending upon the size of the unit. 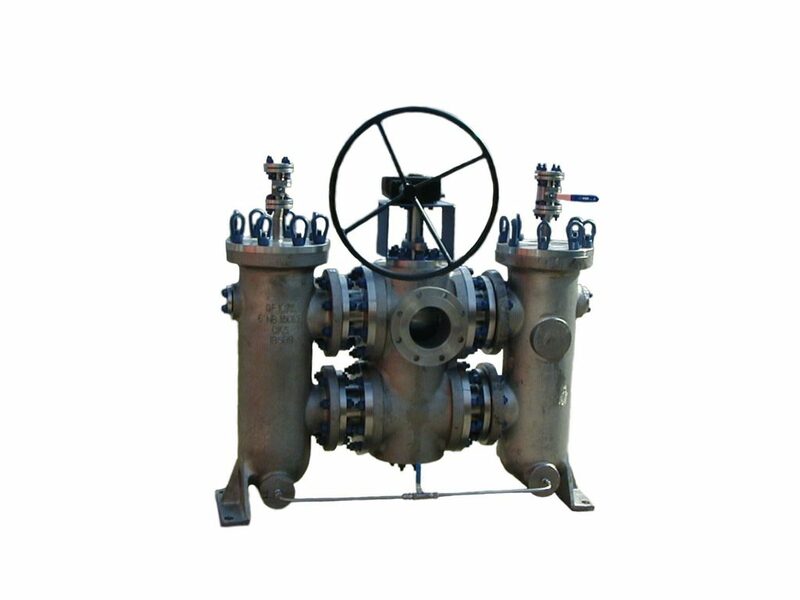 The vessels are interconnected by either two three-way diverter valves, four butterfly valves or one six-way diverter valve. GFSA has also incorporated the sliding disc design on various occasions into fabricated units.